It is of greatest importance, in terms of any sort of left-wing movement growing in the US, to counter the weak tea of much of the DSA and all of Jacobin magazine. And it would be wise of those of us on the radical left to grasp that the DSA/Jacobin “left” aims to destroy the radical left, by hook or by crook. They are an opportunistic and vicious bunch for the most part. It is a pity that in NYC, once a hotbed of radical thought and action, with a vibrant labor movement, that the worst kind of hustlers and snake-oil purveyors have taken the lead, leading the working class down a path doomed to defeat. The one good thing is that they know so little about working people that they are unlikely to succeed. The Momentum faction of DSA AFAIK purports to value mass organization and to be engaged in it via the framework of, among other things, the existing unions, to which their relationship appears to be similar to that of the DSA as a whole to the Democratic Party. Despite this gestural “left” opposition, the Sanders/DSA approach appears doomed to certain failure–a repeat of 2016, only with Biden or the ridiculous Master Beto O’Rourke–whose chief assets are talking nice and looking a little like Robert Kennedy–and both of whom AFAIK have far less popular appeal than Hillary Clinton. I believe the likeliest election scenario is a Trump landslide with majorities in both houses of congress. Mass organization in the interim is necessary IMHO not only to put forward labor actions and advance the environmental cause, etc., but simply to provide for public safety in the debacle that appears unavoidable. Running candidates for office seeems to me almost an afterthought. It may be that people will jink right if they cannot feel personally connected to a movement that is of them, for them, and has their backs–and is not merely some televised illusion. Is this going to come from Philly Socialists or Marxist Central? I fear that what is coming is a deluge against which the left will have no sandbags ready. Running socialists for office without a mass organization in place seems suicidal. I do gather from a skim of LeBlanc’s (as always) intelligent piece, that, per him, the Younger Kautsky (the one Lenin admired?) as it were understood this but that the DSA, Momentum or no, clearly does not. But hey–maybe the full Mueller Report contains a magic bullet that will save the world from everything! That is how Kautsky speaks. He does not sing a requiem for the insurrection because the first attempt failed. He does not grumble over the failure, but studies the birth and growth of a new and higher form of struggle, examines the significance of the disorder and discontent among the troops, the assistance the workers received from the townspeople, the combination of the mass strike with insurrection. He studies the way in which the proletariat is learning the art of insurrection. He revises obsolete military theories, and there by calls upon the whole Party to analyse and assimilate the experience of Moscow. He regards the whole movement as a transition from strike to insurrection, and tries to grasp how the workers should combine the two for the purpose of achieving success. Kautsky concludes his article as follows: “Such are the lessons of Moscow. How far they will influence the forms of the struggle in future, it is impossible, as yet, to foresee from here [i.e., from Germany]. Indeed, in all preceding manifestations of the Russian revolution so far we have seen spontaneous outbreaks of the unorganised masses; none of these were planned or prepared beforehand. Probably this will continue to be the case for some time. Even after 1914 Kautsky granted the possibility of a successful armed insurrection, but on condition that it was accompanied by a powerful general strike. ‘At this time in the field of foreign policy, the biggest event was the Boer War. I followed this war very closely and argued that it would be the beginning of new developments in foreign foreign policy that would have a tremendous impact on the internal situation in all states. Since in Chisinau many people from the surrounding environment were interested in this war, it was decided to arrange my report to raise money for our purposes. The report had to be repeated three times. Of course, it was secret to arrange it. It should be noted that many comrades at that time were very little interested in foreign policy, believing that everything that lies outside the sphere of direct class struggle and the struggle against tsarism is of no special significance. However, at the end of the first report, one of my comrades approached me and, shaking my hand encouragingly, said: “It’s nothing, and it will come in handy.” All these questions also do not interfere with studying. ” I published my report in 1901: “What the Anglo-Boer War proved, the regular army and the militia in the modern situation” (Odessa). Of course, under the conditions of censorship, it was necessary to omit a lot. The main idea of the brochure was to prove the positional character of the future war and to emphasize the superiority of the militia over the regular army. From Chisinau, I went to Paris, which at that time was one of the most important centers of our revolutionary emigration. Russian Paris represented a bubbling cauldron in those years. All Russian students and students considered themselves socialists, attended all meetings, took part in demonstrations and demonstrations of French workers. Russian revolutionary organizations conducted active work here: they collected money, organized circles from young people and selected suitable persons for work in Russia. For rallies, lectures, lectures in the hall of the restaurant Avenue du Choisy, there were 800-1000 people. Noa, people don’t read Kautsky’s pre-1910 articles. They are only of historical interest and, beyond that, material that is used by the Jacobin intellectuals to get people to vote for Democrats–a task I would compare to a mother trying to get a child to take cod liver oil because it is good for them. Too much honor calling them Neo-Kautskyan. Like I commented on your previous piece (Kautsky? No thanks), what else can we except given the political nature of the DSA: that they sing the praises of Joseph Hansen? Given the known limitations of the Jacobin crowd, it’s logical for them to try to reconnect, in a very modest, with figures of the socialist movement such as Kautsky – meet them where they are, take them on their word, and show that they fail to live up even to the post-1910 Kautsky. Or better, Louis, please check (rather than Debbs) the writings of the founder of the SP, Morris Hillquit and the latter’s organ The New Leader to which archive you have access via Columbia (http://search.opinionarchives.com/TNL_Web/DigitalArchive.aspx?panes=2), and you’ll find some articles that you can make available, that show the necessity of an independent Socialist Party, or at worst joining a Labor Party (but never working for the Democratic Party). Karl Kautsky should be forever remembered by those who are trying to change the world for two phrases which sum up the “passive radicalism” of even his “radical” days, as Anton Panekoek aptly characterized his politics in the 1910 debate on the state (in which Lenin, by the way, bet on the wrong horse), In what is supposed to be his most left wing work, “The Road to Power,” Kautsky proclaims that, while the SPD is a “revolutionary party,” it is, by no means a “revolution-making party.” Now didn’t another told white guy with a gray beard that Kautsky knew once say something about the point being to change the world, not just interpret it? Of course when you are trying to interpret it for the SPD party bureaucracy and the trade union tops, who Kautsky provided “orthodox” cover for, interpreting takes top priority. Hence Kautsky’s passive politics and positions at almost every instance that push came to shove between the radicals like Rosa Luxembourg and the SPD hierarchy…even before 1914. Militant mass action and even armed struggle might be OK for backward Russia but not for Germany, where, after all, the SPD bureaucracy had a lot more to lose than it’s chains. Likewise during WWI, Kautsky lamented that the “International was an instrument for peace time and not during war.” Kautsky, it should be remembered, thought that inter-imperialist wars were a thing of the past, having been replaced by the peaceful process of “ultra-imperialism.” While this came at least four years later, there is a thread of continuity in both Kautsky’s thought and the practice underlying it. Practically, upholding the all-inclusive peace-time party served to provide an alibi for those so-called Socialists who supported the imperialist war, who Kautsky actually disagreed with but dreaded breaking from. Theoretically, it followed from his his unilinear, evolutionary Darwinist stagism of socialism being “historically inevitable” and not requiring anything other than the “tried and trusted” methods of parliamentary cretinism…ocasionally backed up by tightly controlled mass mobilizations. While Blanc likes to divide the post 1910 Kautsky from the earlier model, it was only before1893 that Kautsky took a much more critical approach to parliament and the bourgeois state. However, his post Efurt Program politics totally subordinated anything and everything within the workers movement to winning elections to the Reichstag and he more and more came to see the modern parliamentary state of the bourgeoisie as the exclusive vehicle for socialist transformation, i.e., the DOP…providing the ruling class accepted history’s verdict on its fate. Of course, before 1917 no-one in the socialist movement had a clear picture on what vehicle the working class would use to take power and exercise its rule, but as far back as 1910 Anton Pannekoek had already called him out on his parliamentary cretinism in a debate within the German SPD. And when workers councils did make their appearance, in Germany as well as Russia, Kautsky continued to insist on the necessity for parliament to reign supreme, even though the latter clearly represented the rule of the capitalist class in the life and death struggle for power that was taking place thought much of Europe at the time. 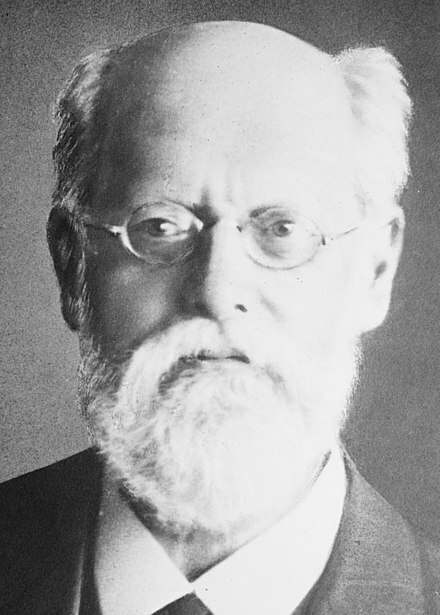 Rehabilitating Kautsky, while denigrating Trotsky, is the latest tool of the trade of banishing what demons remain from the 60s and 70s from the left and making it respectable enough to find its proper place in the Democratic Party. Back in the 70s, Antonio Gramsci was the preferred candidate for that role, possessing a Communist pedigree that Kautsky could never have in the eyes of demoralized lefties who were looking for a road forward but not yet ready to go whole hog into the DP. For those who did, Michael Harrington upheld the CP’s craven class collaboration of the 1930s Popular Front as an example to be followed, minus the connections to Uncle Joe Stalin, of course, as he pointed out in his debates with the SWP’s George Novack and Peter Cameo. Today’s hipster socialists of the Jacobin milieu are no less enamored of the CP’s supposed successes of that period as they have emphasized in many an article on that site as it serves to legitimize their orientation towards the Dems. Kautsky provides a far more “Marxist” theoretical framework for such politics than Earl Browder or George Dimitrov can. And, just as importantly, he also is identified with the all-inclusive party model that characterized Social Democracy in its hey day and has always been held up as the alternative to “Leninism” by a wide range of its opponents, including Solidarity and the DSA. This blog post is overreacting to Eric Blanc’s article. There are fundamental problems with his position, to be sure, but this blog did not address any of them whatsoever. Eric Blanc’s usage of the word “center” is inaccurate. There was indeed an orthodox Marxist center, but it existed before the vulgar “center” from 1910 onwards. The orthodox Marxist center, or revolutionary center, very much included the likes of the Bolsheviks. They opposed both the strategy of reform coalitions, advocated by those to their right, and the strategy of shutting down the state with mass action, advocated by those to their left. The latter strategy had its genesis in the insurrectionary general strike of Mikhail Bakunin, flowered in the violence romanticism of Georges Sorel, and continued in very diluted form in the works of Rosa Luxemburg and Leon Trotsky. So Blanc connects the dots between Kautsky and Lenin and you connect them between Bakunin and Trotsky. I hate to break it to you, but you are even more far-fetched than Blanc. I merely referenced Mike Macnair’s connection of the dots in that addendum. Yes, that same Mike Macnair who was attacked by some Trot group for his “attempt to revive Kautskyism” in Revolutionary Strategy. Oh, the CPGB. I should have known. Totally into Lars Lih. Ugh. I wish to bring to your attention the new independent political network Marxist Center, and its strategy of base building. If it is true that DSA Momentum has orchestrated attempts to squash mutual aid organizing by a DSA tendency focused on racial minorities, then at least the Marxist Center aims to double down on that strategy of mutual aid, solidarity networks, alternative culture, etc. Like it or not, the “Kautsky Revival” outside the DSA has left the station. If I’m not mistaken, Didn’t the workers get their asses kicked in Finland…at least somewhat thanks to the constant vacillations of the kautskyist leadership of their party? Unlike the bolsheviks, they kept their red guards under wraps until the last moment…when it was way too late. If that’s blanc’s idea of a strategy to be followed, I’d hate to see what he considers as one to be avoided. There have been good articles in the Australian socialist alternatives journal on both Finland and kautsky over the past two years. And yes, as Bukharin pointed out in a series of polemics with Lenin during WWI, some of the anarchists Were way better on the state than kautsky and the rest of his ilk ever were. See the article in socialist register on this by sawyer back in the early 80s for a detailed analysis. Roy, my previous comment to you didn’t appear. I wanted to dispute your claim that Lenin sided with Kautsky at the time of the state debate against Pannekoek. In a comment I wrote below Kautsky’s article ‘The New Tactics’ (posted on the Libcom site), I showed by textual evidence that already then (in 1912) Lenin sides against Kautsky. What is more, he believed the Bremen Left (including Radek) was not up to the task of criticizing Kautsky! You bring up Sawyer’s article in Socialist Register. I take specific aim against Sawyer’s claim that Lenin had no problem with Kautsky’s position on the state until the time of his polemics with Bukharin, which supposedly “converted” the Kautskyite Lenin to the Lenin of State&Revolution. By the way doesn’t this kautsky revival have more to do with its partisans embracing the all inclusive broad party of the second international rather than squabbling over obscure debates around the April theses? Of course coming from Lars lih and his protégée Eric blanc they serve as a means to discredit Trotsky and the Trotskyist interpretations of those events which have dominated far left analysis since the late 60s…as have the varied tendencies of trotskyism. Don’t the organizational issues have some connection to the purely political ones? As far as the DSA goes, with its Democratic party obsession (which, if anything, has only increased since the rise of Bernie Sanders), CP-style popular frontism provides the perfect cover for its advocating craven class collaboration at the ballot box. Hence Sankara’s and Chibar’s constant positive references to it as well as Harrington’s long time love affair with it as well…minus Uncle Joe and the Ruskie connection. Kautsky, even at his pre-1918 worst, was way to the left of all of the DSA’s luminaries insofar as his insistence on political class independence goes. For that matter so was Victor Berger! Since his parliamentary cretinism allows for a limited space for mass activity, provided it’s carefully controlled by the party, of course, it can be utilized by an Eric Blanc to provide more of a “classical Marxist” theory than the “20th Century Americanism” of the CPUSA in the 1930s for the more left inclined DSAers who read Jacobin. Likewise Kautsky’s passive radicalism commits no-one to nothing other than keeping the powder dry until the day comes while his broad based party of the whole class provides amnesty in advance for those supporting Democratic Party, i.e., capitalist, candidates as well as imperialist wars. IMO voting for Democrats per se is not the evil–the evil is doing that and working for that instead of organizing for safety, self-defense–loosely speaking–or “survival” if you want to be lurid–and the advancement of a socialist program when the Democrats lose or are corrupted, or both, as invariably happens. There must be solidarity–and dare one say it–comradeship before people will risk letting go of the old, cruel, delusional idols of capitalism. This has to begin somewhere and will not arise from Sanders, AOC, or Jacobin study groups–or for that matter from futzes with meaningless PhDs from institutions like the Nazi-spawning University of Virginia, cradle of Richard Spencer.